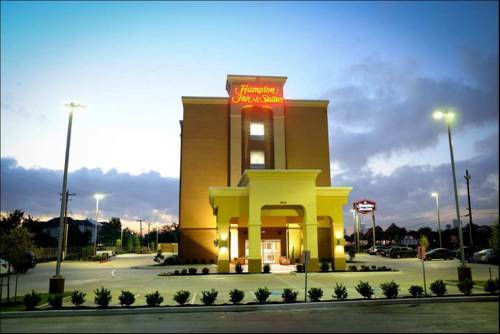 Our hotel is located in the heart of Houston just minutes away from downtown and The Galleria business district directly off of I-10. We are also located directly across the street from Memorial Park which is equipped with a golf course tennis courts 3 mile jogging trail and hiking trails. Our hotel offers all of our guests free wired and wireless high-speed internet access hot breakfast a state of the art extended fitness center heated indoor pool and an outdoor experience facility with a water feature. Our guest can also take advantage of our on site convenience shop free wireless high-speed internet access in all public areas large meeting space 24 hour business center and 24 hour coffee service. We also offer our guest multiple room types which range from an executive king to a two bedroom suite. All reservations must be guaranteed with a major credit card or advance cash deposit to hotel regardless of time of arrival. All reservations must be cancelled 24 hours prior to scheduled arrival host time unless deposit is required. Policy is subject to change. All reservations must be cancelled 24 hours prior to scheduled arrival host time unless deposit is required. If this reservation has been made electronically please cancel it electronically to avoid confusion and a no show bill. Policy is subject to change.